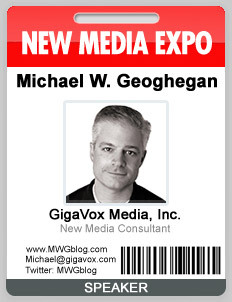 I am off the New Media Expo this week. I have been asked to present: “Corporate Podcasting the Disneyland Way: Case Study from the Place Where Dreams Come True.” (Thursday 8/14/08 2:00 – 3:00PM) I am preparing a presentation that will blow the doors off how we have produced the Official Disneyland Resort Podcast over the last 3+ years. I’ll cover how it started, how it has evolved and where we are today. For Disney fans, podcast producers, consultants and people charged with corporate podcast initiatives I’ll present the information you need to know and the tips, tricks and techniques to ensure a successful podcast production. This is an opportunity to get a behind the scenes peak at how the longest running Fortune 100 company produced podcast is done. As past attendees know, I have a habit of giving the audience the straight scoop. (This year will be no different.) Last year, I created a bit of controversy with my infamous “Podcasting is Dead” presentation. Given the events of the past year – big surprise: I was proven right! While it frustrates me that many people read that title and did not bother to listen to the substance of my argument regarding the business New Media producers are really in, I understand how things work and have accepted the predictable flack. As for my statements last year, I now have another year’s worth of “proof” points and some new predictions for the year to come but it has been suggested I hold them for a few days until the Expo starts – the reasons given make sense, so I will. 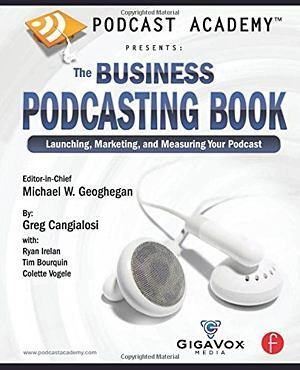 One thing to clear up is that I am bullish on podcasting – always have been. Heck, I authored two books on the subject. My critical statements often get misconstrued and misquoted by well meaning commentators but that is the bane of the eternal optomist. (If you don’t want to get continuously misquoted, don’t become a podcasting pundit.) I had hoped that podcasting would open up opportunities for everyone, that it would develop into a true industry. That never happened. That is not to say that there is no money in podcasting, there is, but it is not something the average person can count on. I have made a nice living as a Podcast Consultant over the last few years, but it is not a business the average person can enter and survive in like real estate or insurance etc. Podcasting is not an Industry, it is a niche and recognized expertise is required. Meanwhile, I am contemplating a Smith & Wollensky’s or Nobu dinner in Vegas for Thursday evening. Interested? Shoot me an email or Twitter. Wizzard Software, Inc., a technology company based in Bloomfield, snapped up Libsyn last year for $15 million in stock. Interesting number given that Wizzard’s total market cap is roughly $109 Million. Wizzard (WZE) started trading on the American Stock Exchange last week and toyed with $3.00 a share but has since settled down roughly 17% to the $2.50 range. I never would have thought to dig, but the $15 Million number caught my attention. SEC filings reveal that there are a number of milestones and it would appear that the $15M number is a best case scenario. But if you are curious about the sale, stock, milestones, cash payments and some employment contract info etc., here are the relevant SEC filings. [PLAN OF MERGER & FORM 8-K] (The joys of selling to a publicly traded company.) The Libsyn team are great guys, I hope that everything works out as best as possible for them. The question is what will Wizzard do with Libsyn over the long haul? Last week some controversy erupted around the 1 Billion download claim that Wizzard/Libsyn made. Scott Bourne pointed out that a press release from Wizzard last month stating that 1 Billion podcasts downloads had been achieved in 2007 was followed up just last week by a statement that Libsyn was “fixing” issues with its stats engine. Frankly the total number is irrelevant, whatever it is, it’s big, but once again the stats issue raises its ugly head. For true advertiser support/adoption of podcasting, stats need to be quantified and agreed upon. Libsyn is a great service that enables any podcaster to handle their media distribution for $5 dollars a month as a base package. That also means that they often attract those willing to pay the least amount. Those of us who have been around from the start have witnessed publishers using the Libsyn system having to endure numerous outages and slow delivery at times from a system clearly experiencing growing pains. Libsyn’s users have been amazingly supportive and understanding during these service issues – true fans of the service. For hobbyists this makes sense. But for mission critical delivery: businesses, large scale podcasts etc., Libsyn Basic has not been the choice of professional podcasters, they have tended to go with larger CDN delivery networks. As a result, Wizzard ends up with amazing volume but is it really the kind of content advertisers are looking to associate their brands with? Further, with such a disparate pool of producers what is the internal cost to deal with all of them on a single ad campaign? Except for their large publishers, Wizzard does not get to enjoy the benefit of economies of scale, it might actually work against them. Contrast that with a company like Federated Media: few publishers, but they all have incredible reach/size. FM’s publisher count is finite enough that advertisers know what they are buying and who they are associating with, plus internally dealing with 20 large publishers on a campaign is much easier than trying to coral hundreds of smaller ones. This is probably why you have seen the WIzzard/Libsyn team putting so much time and attention into the Libsyn Pro product, a media publishing platform built and priced much closer to a traditional CDN. All this said, I am curious to see how the team and product(s) evolve. They have some smart folks working with them and I hope that Libsyn/Wizzard can pull it off. Branding: This is a great opportunity to get your branding image and logo out there. Think back to photos of just a microphone versus those with large easy to recognize logos or wording on their mic flags. Each photo is one more brand impression for you. This is especially important for video podcasts. This is an easy way to get your branding in every frame! Recognition: If you do large roundtable, red carpet or media events, interview subjects want to know who they are talking to. 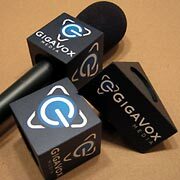 Your mic flag identifies your affiliation and makes it easy for the interview subject(s) to remember. I’ve found that interview subjects seem more at ease when I approach them with the sort of clear identification that a mic flag provides. Professionalism: Mic flags are used by all “professional” media. Again we can take a lesson from their decades of experience – trust them on this one. Once you have a mic flag, people assume that you are a member of that same “professional” media. After all, who has a mic flag that is not serious about what they are doing? If you do in-studio interviews, mic flags offer that extra touch that sends the message: this is serious. At GrapeRadio.com we have outfitted all four shock mounts for our RE-20 mics with mic flags similar to the style I have in the picture above. We have successfully placed our MD-46’s with mic flags on the dais at a number of large wine events. They look great in the press coverage of these events. I always recommend Impact PBS for mic flags. They have no minimum order size or set up fees. In fact, you can order flags one at a time if need be. They have a wide assortment of styles to choose from and will certainly have one that fits your needs. The graphics are sharp and clearly visible. All sides of the flags are finished and use a nice foam center to accommodate most any microphone. (I have no affiliation with Impact PBS other than I like and use their products.) Last year I asked Glenn Love, who runs Impact PBS, to be on Behind The Mic. You can listen to the interview here. 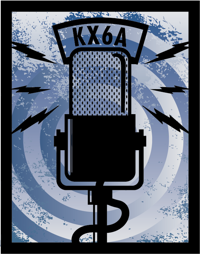 Podcast Consultant “Trick of the Trade”: Impress you next client by having custom mic flags made. Don’t tell them ahead of time or include it as a line item in your bid, just do it. It costs next to nothing and they’ll be impressed and appreciative. Sometimes it is the little things. Bottom line, a professional mic flag will set you back about $60 – that is nothing. Brand yourself appropriately. This is an action step for today. Order one now! Stick Mic: Sennheiser MD-46. For man-on-the-street style interviews, the MD-46 is my go-to microphone. Originally designed for NBC reporters at the Olympics, this unidirectional dynamic microphone breaks all the rules and ends up being an extremely effective mic for avoiding “plosives” and “handling noise.” I like that it is longer than many other mics making it easy to accommodate a mic flag with plenty of room to spare. These are the mics we have used for the last 3 years to produce the official Disneyland Resort Podcast. At Disneyland there is a lot of background noise from the park’s attractions and guests, the MD-46 lets just the right amount of ambient atmosphere sound in while maintaing solid recording of the interview subject(s). We have also used these mics successfully table mounted for roundtable interviews. Another mic we occasionally use is the Electro-Voice RE-50N/D-B (a favorite of Paul Figgiani). When budget is a concern, these mics can serve double duty in your home studio. Lavaliere Mic: Audio Technica AT-898. If you are going to do sit-down style long format interviews, covering live stage events or doing video, add some lavaliere mics to your kit. There are a lot of choices for lavaliere mics, but I’m pleased with my pair of Audio Technica AT-898s. 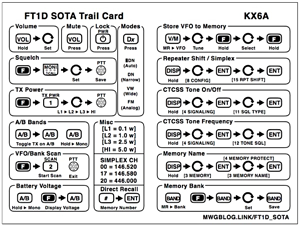 I have connectors for my various digital recorders and wireless transmitter packs. Another mic to consider is the Countryman E6i (an over-the-ear headset model.) Leo Laporte often endorses these. While I do not own one, they always sound good and I’ve thought of picking one up to take with me to events where I am speaking. Always nice to ensure that at least you sound good. Many people hold themselves out as podcasting consultants or have decided to spend the extra time and effort to produce a “professional” level podcast. What should one look for in a consultant and what skills and knowledge are required for a “professional” level podcast? Answering these questions are the goal of this series. Podcasting is an amazing medium that allows anyone to communicate their passions, thoughts and expertise to the world. The fact that the barrier to entry is almost non-existent is a big part of the allure and its power. I think everyone should give podcasting a try. If it is an enthusiast podcast, when starting out focus on the content. 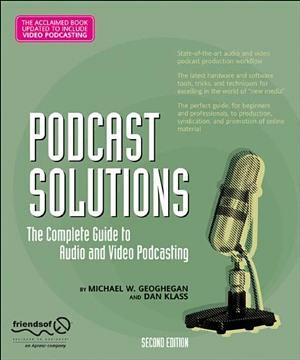 However, when you are selling your services as a podcast consultant, or are in pursuit of the best audio/video available for your production there are some tried and true lessons you need to know. After publishing two books [1 & 2], producing the live Podcast Academy events, 3 years of consulting, creating the 2006 Podcast of The Year winner and giving a good number of presentations on the subject, I get emails all the time asking about the equipment we use, work flow, techniques, contracts etc. I’ve decided to post some of the “Professional Podcast” lessons I’ve gathered over the last few years. I’ll post the answers to the most common questions I receive. Whether you are a podcast consultant, obsessed about quality or are just looking to hire someone to produce your organization’s podcast, I hope you’ll find these posts helpful. My goal is simple: make these short and to the point. These posts will be easy to understand and provide a good starting point for your further investigation. First post will go up Monday and I’ll link back to this as an overview of the series.